The experienced and qualified team of Physiotherapists and Occupational Therapists in Nelson utilise their specialist knowledge and dedication to manage your health condition. Customers do not need a referral from your doctor to see our physiotherapists. We are ACC approved and you can phone us directly for an appointment. Whether you suffer from back & neck pain or if you have to recover from an injury, Richmond Physiotherapy Centre will get you moving again! In addition to adequate treatment, the therapists will also advise of exercises that will help your rehabilitation. We provide full work site assessment and rehabilitation with full advise from our occupational therapist.All our physiotherapists are McKenzie method trained therapists. For more information please visit the Richmond Physiotherapy Centre website by clicking the above link or call today to arrange an appointment. 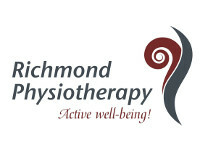 Contact Richmond Physiotherapy Centre For Active Wellbeing! We utilise the McKenzie Method (Mechanical Diagnosis and Therapy) which requires active patient involvement and education that is trusted and used by practitioners and patients worldwide for painful bones, joints, muscles, ligaments, and tendons. This system is proven to solve back, neck, and extremity problems. The McKenzie Institute International promotes education, research, and knowledge on spinal and peripheral musculo-skeletal problems. In 2005 Robin McKenzie initiated the McKenzie Method and was voted the "most influential person for Physical Therapists"in a survey in the USA.